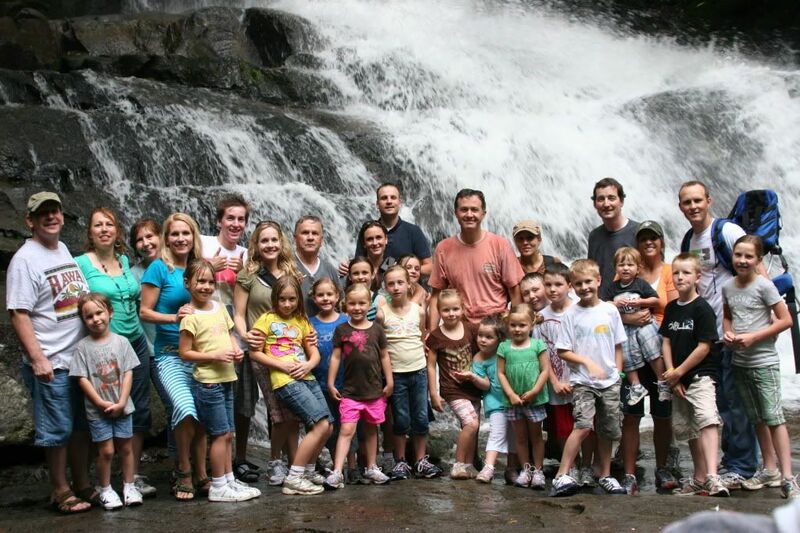 We are all in Pigeon Forge, TN for a Barnes Family Reunion until Friday, June 26th. This morning started out rainy, so we ventured to the aquarium and found everyone had the same idea. It was packed and it wasn't really comfortable. The kids managed to have fun, but we didn't stay long. We went to The Smoky Mtn National Park for a hike. Parking was scarce and when we began the hike it started to thunder. The rains came and we all got wet. The trail was muddier than expected. We looked a little droopy by the time we made it to the falls, but it was beautiful and worth the walk in the rain. Good job getting this photo posted. Looks like a pretty spot. We're going there for our Kilgore family reunion in about 4 weeks! After seeing your pictures I'm even more excited.